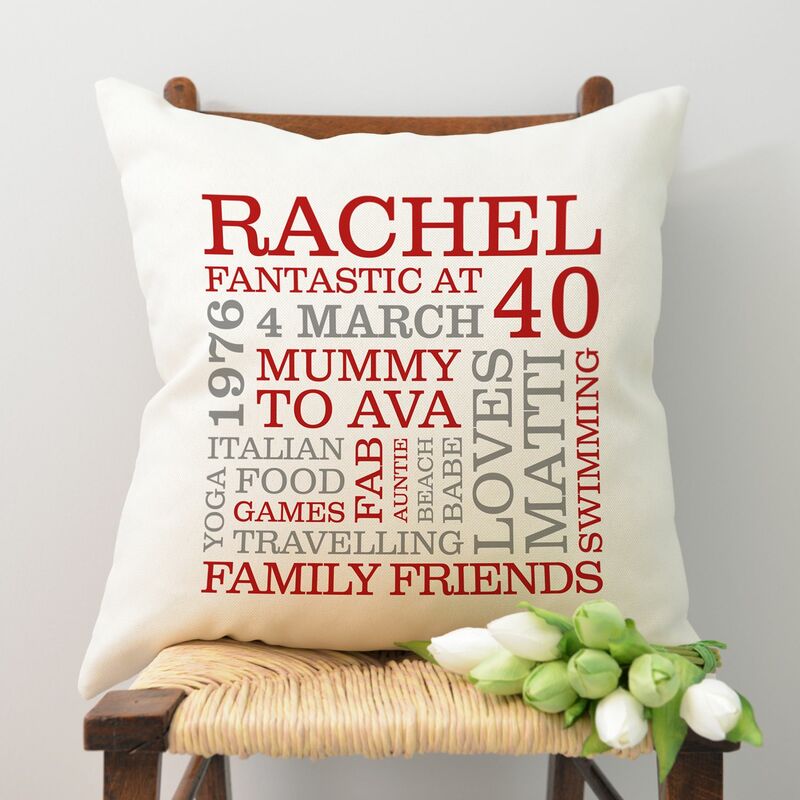 A stylish personalised cushion to celebrate a 50th milestone birthday for someone special. 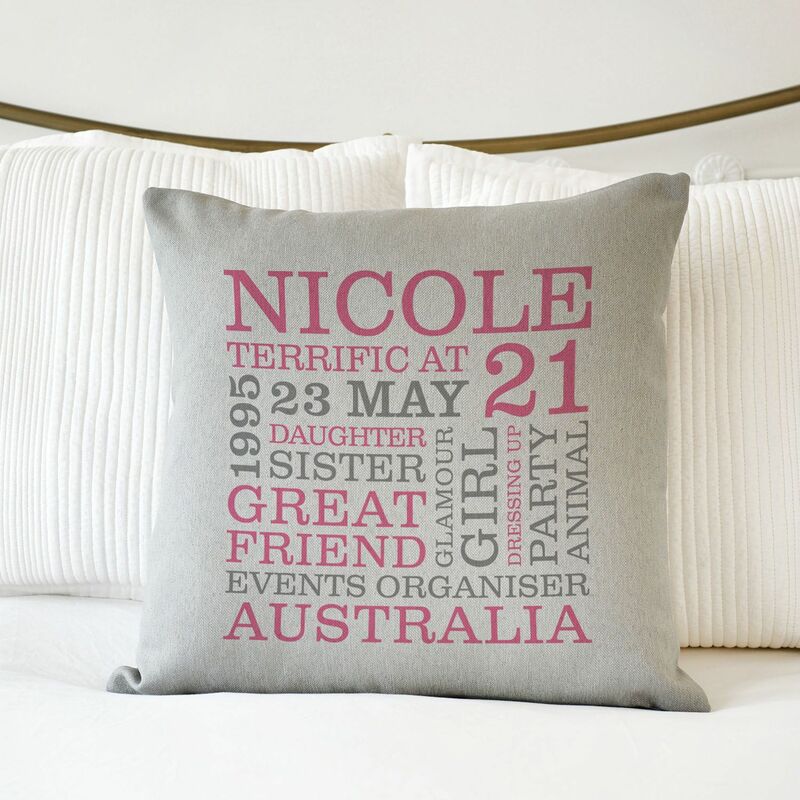 A proof of your personalised design will be sent to you by email shortly after your order is placed. Simply reply to us with print approval and your item will be dispatched or send us any changes you would like to the design and we will send you a new proof back for you to check. 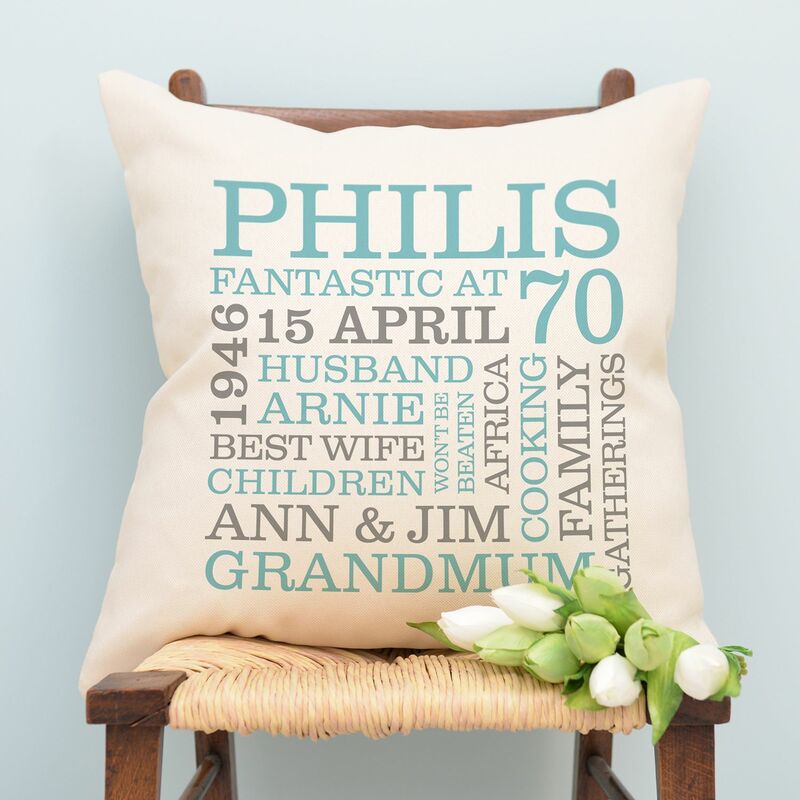 This beautifully designed and printed typographic cushion is jam packed with their favourite things to mark the occasion. 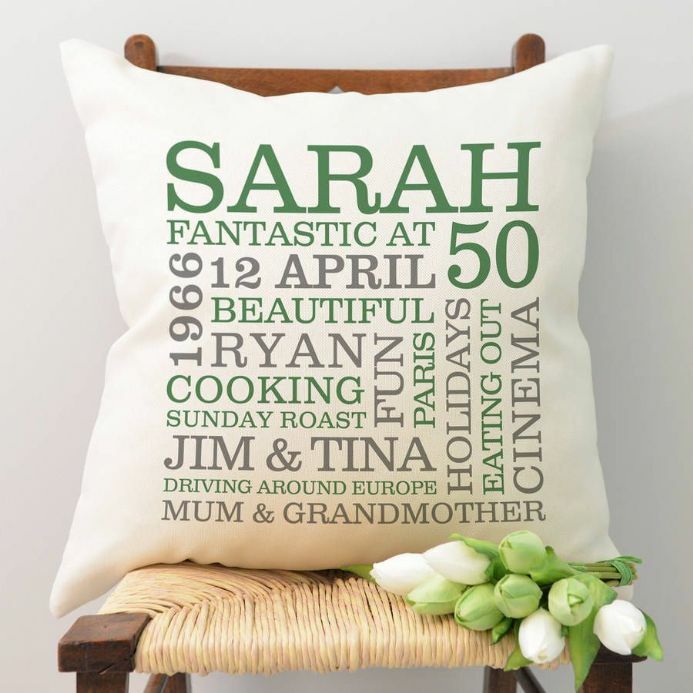 Add the recipient's name at the top, followed by their birth date and year. 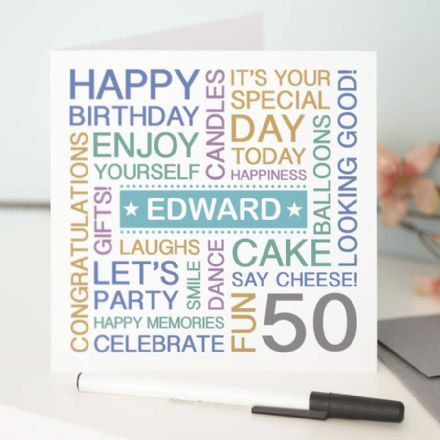 We will add "Fantastic at 50" so this doesn't have to form part of your additional words. 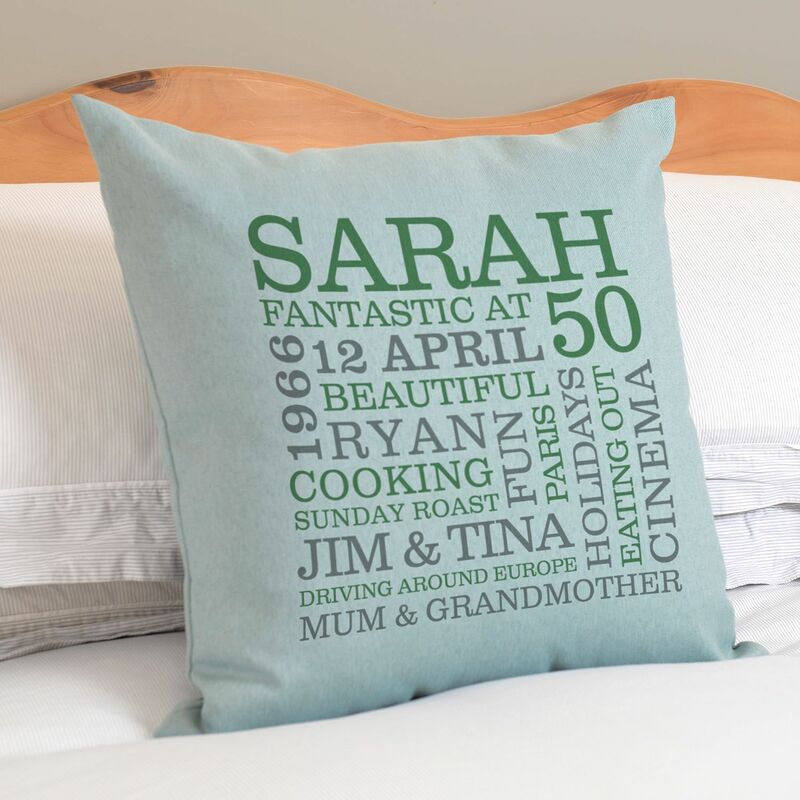 Add their children's names, partner's name, favourite holiday memories and travels, their hobbies & interests... anything that sums them up and is special to them! A variety of text colours are available, see in the drop down menu's. If the colour you are looking for is not listed, please let us know, we are happy to accommodate. This high quality cream cushion is made from polyester and is very soft to the touch. Cushion size - 50 x 50cm.